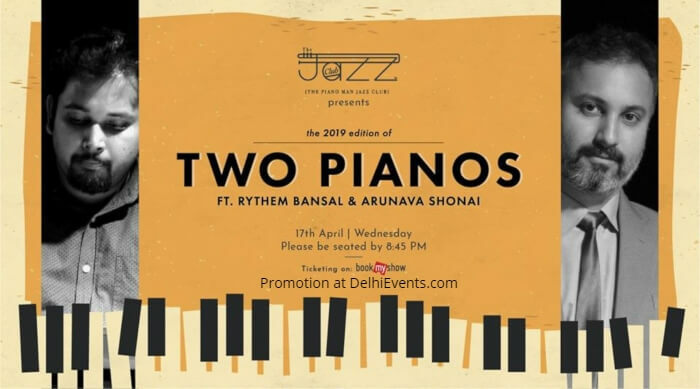 Rythem Bansal is a professional Pianist, Composer and Educator based in New Delhi, India. Although Rythem started with self-teaching, he later studied piano from John Raphael and completed Trinity Grade 8 in Piano. Drawn to jazz and improvisational music, he also studied with Utsav Lal and Jacob Damelin (Canada). Rythem has performed with numerous musicians and bands in the city which has gained him the reputation of being one of the most in-demand Jazz pianists in India. Some of the great International and Indian musicians include George Brooks (USA), Rainer Pusch (Germany), Matteo Fraboni (Italy), David Soin Tappeser (UK), Pranai Gurung, Vasundhara Vee, Sentirenla Lucia, Sanjay Divecha, Shubh Saran, Aditya Balani and Kartikeya Srivastava to name a few. He has played at festivals like Goa Jazz Festival, MTV India Music Summit Festival, Pune Jazz Utsav, Delhi International Jazz Festival, etc. and venues like NCPA (Tata Theatre), St. Regis, India International Centre, Neemrana Fort Palace, B Flat, etc. He performs at The Piano Man Jazz Club every Sunday and currently teaches at Blue Notes School of Music apart from offering private lessons. Shonai is an educator and predominantly a contemporary jazz pianist, although he has dabbled in various forms of music in his vast career as a musician. Born in a musical family, Shonai began tabla training at the tender age of four. His Piano training started much later in his musical journey. After a year of studying, in 1997 he became a graded junior artist of All India Radio and started performing/recording in a program called Calling All Children. He continued learning western classical music in Piano till he got introduced to the world of Jazz and its musical concepts and theory. He started taking Jazz lessons from city Pianist Mr. Andrew Gracias. His professional career started when he joined Oberoi Grand Hotel as a solo pianist. He joined Blue Mist, a pop band from the city. He soon started working as a sessions musician, dabbling in various different styles like Latin, funk, pop and jazz. His major breakthrough happened when he got an offer to perform with legendary Bebop musician Mr. Carlton Kitto. He performed with the Carlton Kitto Jazz Ensemble for several years until the guitarists' unfortunate demise. Shonai has performed in and out of town and around the country with different bands and artists. He is currently part of the Piano faculty at the Calcutta School of music. He has worked in the Kathmandu Jazz Conservatory as a guest piano teacher.